The giant 36" foils come in a variety of colours and shapes, we mostly use white for the writing or image, but they can be done with other colours if you'd prefer. 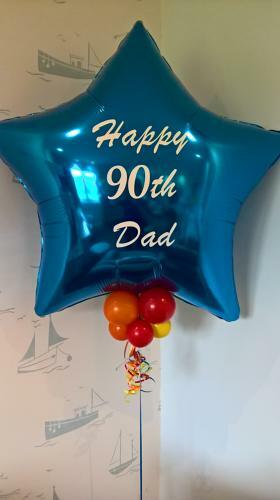 The balloons can be personalised with wording or images or a variety of both and can even be done using your company logo if you have permission to use it. Please allow a minimum of one week when ordering this item.